Meet Hurst Boiler representatives at the next trade show near you. 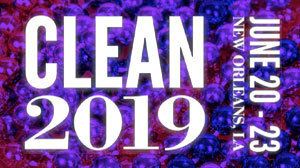 The Clean Show, held every other year, is the industry's largest, most important event. More than 11,000 serious exhibitors from across the nation and around the world come to the Clean Show to compare products and make their buying decisions for the coming years. Learn about the latest products, trends and strategies that will help you improve your business's bottom line. The Clean Show is the main event for the laundering, dry cleaning, and textile care services industry. Hurst Boiler, Inc. participated in the following shows.